The Gate City Striders (GCS) running club is offering a scholarship to a high school or college student who is a member of GCS, whose parents are members of GCS, or who is sponsored by a GCS member. The GCS Scholarship is a non-renewable award. Applicants must have applied to and been accepted at a college, university or vocational school at the time the scholarship is awarded. Receiving the award does not preclude the applicant from applying for and accepting other scholarships, loans, grants or other aid. 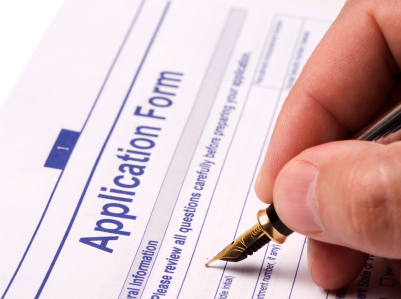 Applicant need not participate in college athletics. Recipients will be notified by email no later than May 15th. Must be a Strider, a child of a Strider or nominated by a Strider who has been active with the club for more than one year. Must have been accepted at a college, university or vocational school. Previous GCS Scholarship winners are not eligible. Completed and signed application form available HERE. Two (2) letters of recommendation or two (2) references. List of any GCS activities in which you (the applicant) and/or your family or sponsor have participated (volunteering, racing, social, etc). All applicants are evaluated by at least three members of the Scholarship Committee on the following three criteria: (1) Embodiment of the Running Spirit (based on personal essay), (2) Contribution to the Running Community (based on personal essay, letters of recommendation, and list of GCS activities); and (3) High Academic Achievement (based on academic transcripts and letters of recommendation). All requirements must be postmarked by May 1st to be considered. Recipient(s) will be notified by email no later than May 15th. Recipient(s) will be announced to the GCS community on June 26th at 6pm.